We like the sound of this so far. (SPOT.ph) As Manila’s traffic situation feels like it's getting worse by the minute, the government continues to find ways to address the public’s woes little by little (at least that’s what they would like us to think). 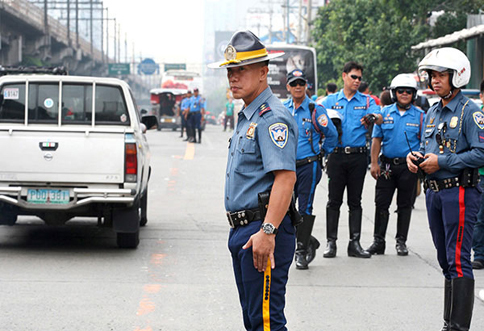 In a Senate hearing on Monday, September 14, PNP-Highway Patrol Group (PNP-HPG) officer in charge Senior Supt. Arnold Gunnacao said, "It is my recommendation that we should come out with a law providing or prohibiting individuals [from buying or purchasing] motor vehicles without their respective garage." According to Romel Gutierrez, the Chamber of Automative Manufacturers of the Philippines’ president, up to 25,000 vehicles are purchased every month, and 60% of this comes from Metro Manila. "We should declare all streets to be no parking zones so the streets will be open for the public," Gunnacao added. "If all our streets are cleared from illegally-parked motor vehicles, then true enough, there will be smooth road traffic." Senator JV Ejercito called this proposal “unpopular,” but did not fully turn it down.